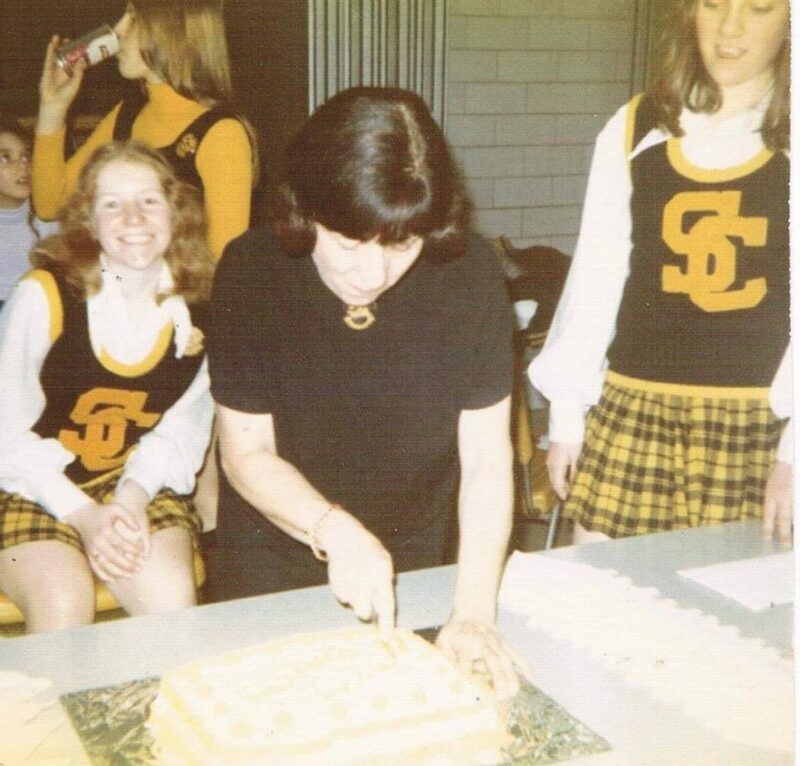 Submitted Photos At left, Joyce Markham served as the cheerleading advisor when she was a teacher. At right, Joyce Markham is pictured with her daughter Cathy during a 2017 reunion. For those of you who had Joyce Markham for ninth or tenth grade English in Silver Creek, a 100 1/2 birthday party will take place for her Sunday, Sept. 2, at the Merritt Winery on King Road, Forestville. It is a meet and greet, from 1:30 to 5 p.m. so stop by and say hello to your former teacher if you can. Beverages and hors d’oeuvres will be served. Hope to see you there! Mrs. Markham’s first love is sports and she was a high school and college basketball star. The newspapers gave her the nickname “Any Angle Nagle” (maiden name) because she could make baskets from anywhere on the court. She was inducted into the newly formed Eden High School Sports Hall of Fame, Eden, NY in 2010. She taught physical education for many years before switching to high school English. She served as an advisor for cheerleading and bowling. Upon retirement, she moved to Ocala, Florida but still returns to the local area in the summer. At 95, she took her first hot air balloon ride and at 96, she completed the 9 zip course at Canyonlands in Ocala. She remains the oldest person ever to complete the course!